In Ayurveda, ghee is a sattvic food, a promoter of peace. In the pan, it performs the same role. Ghee is both cushion and conductor in the play with spice. I love fats. I rub organic olive oil on my face after bath in place of expensive creams. I lure spice students with the pungent inhale of mustard oil, waving my fast-emptied bottle under each of their noses. But ghee is my favourite. 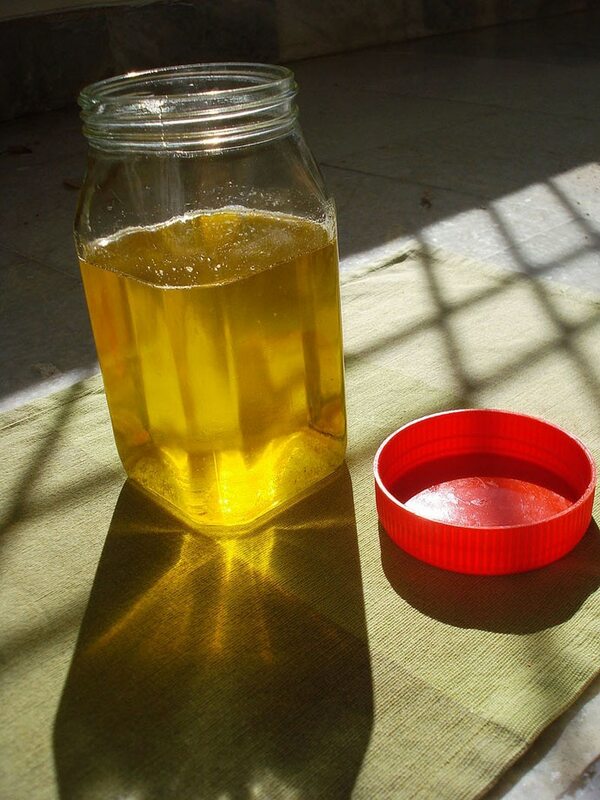 When I think of ghee, I think of the stories Dad would tell me, of my Badi Ammi whipping ghee in a frenzy of sweat, seated on a wooden stool outside the kitchen, dressed in one of her elegant cotton saris. Badi Ammi was a woman of awesome grace and elegance whom I approached in my girlhood with foreboding — my great-grandmother a light too bright for me to look at directly. And yet, even she, an empress, worshipped at the temple of ghee. 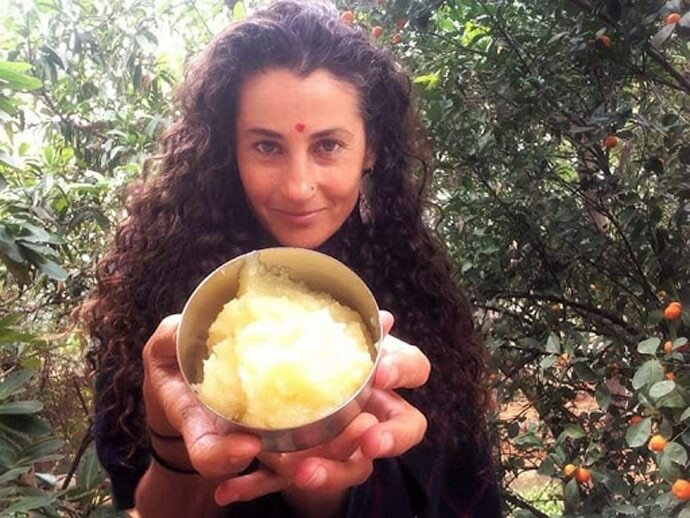 In Ayurveda, ghee is a sattvic food, a promoter of peace. In the pan, ghee performs the same role. When I spoon ghee into a pan, I do so, understanding that her unctuous, viscose nature serves as a cushion. Ghee quiets the song of every spice that moves through her until each contrary voice joins together in culinary harmony. Ghee tamps the fire of chilli. She blunts the edge of tamarind’s sharp acid. Ghee softens cumin seed’s bitter tide of pungent earth. She draws forward the simplicity of dalchini’s sweetness. By feeding each aromatic through her soft prism, ghee helps spice to articulate its character in a way that our bodies find nourishing. Of course ghee has her own contribution to make, too. Eaten on its own, ghee is sweet and rich and floury in texture — a biscuity taste that brings to mind crumbling English-style shortbread. I love it. Ashok and I compete for licks of the ghee spoon on the nights he helps me with spice. When I cook with ghee, I allow for this profile. Its creaminess sticks the flavour of spice to my palate just as its fatty heft pads comfort to my ribs. Feeling the fullness of flavour and fat, my body is satiated with less. 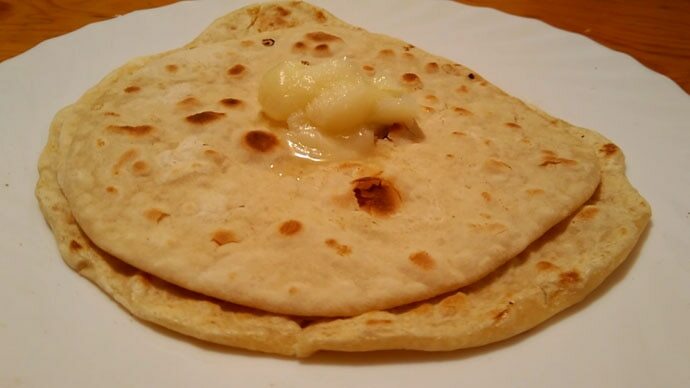 Ghee on a phulka aids my body in digesting wheat. Ghee as the base of any sabji is a powerful dispenser of aroma and spice. Ghee-fried egg draws out a yolk’s sweetness for a breakfast minus heated oil’s hard and heating properties. The benefits of Ayurveda on body and soul are found in the focus on what is good. That is why any truly nourishing meal of spice starts with ghee.